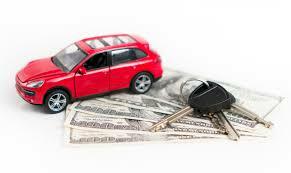 It is your legal responsibility as a driver to retain car insurance with liability coverage. If you own a vehicle, paying for car insurance is an unavoidable necessity, however, you are not obligated to pay a high price for coverage. In fact, the odds are, you could be paying less than you currently are. It is advised that you should reconsider your current insurance policy at least once, every two years. Read on to learn about the things that you should pay attention to when you are reassessing your current insurance policy. Optimal insurance coverage strikes a balance between cost and protection. Do not pay high rates for coverage you will never use. On the flip side, when an accident does occur, the last thing you want to find out is that your policy does not fully protect you. Run through a few scenarios in your head, to figure out what your essential needs are. For example, if you live in a city with great public transportation, you might not need rental coverage. Alternatively, perhaps you require a car to get back and forth between work and home. If this is the case, maybe rental coverage is an absolute necessity, and thus worth an extra $15 or more a month. When you are reassessing your insurance policy, pay careful attention to the different types of coverage that you are currently paying for. Ask yourself questions like whether you currently have comprehensive coverage. If not, do you need it? You may not even know what comprehensive coverage means and if that is the case, you should definitely find out. It is important to know the details of your insurance policy before you start making decisions about what you need and what you don’t need. If you are unsure about the types of coverage that you will need, it is best to speak to an insurance agent directly. Call your insurance provider and ask specific questions. You can even let them know that you are currently shopping around with other companies and they may be able to lower your rate.